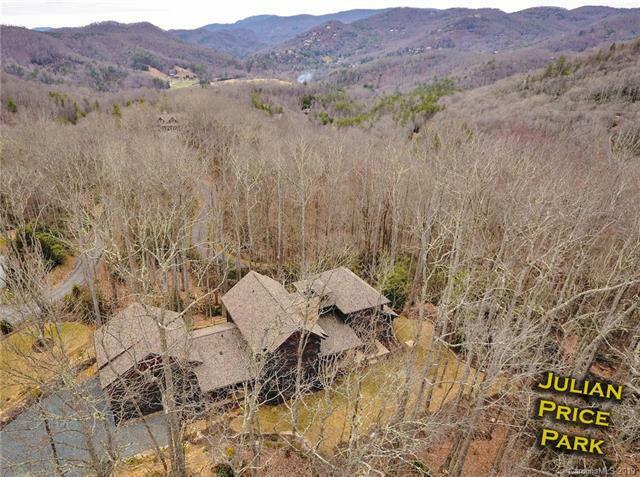 This stunning 4BR 4.5BA craftsman style, board & batten mountain home rests atop 2.5+ ac adjacent to Julian Price Park. 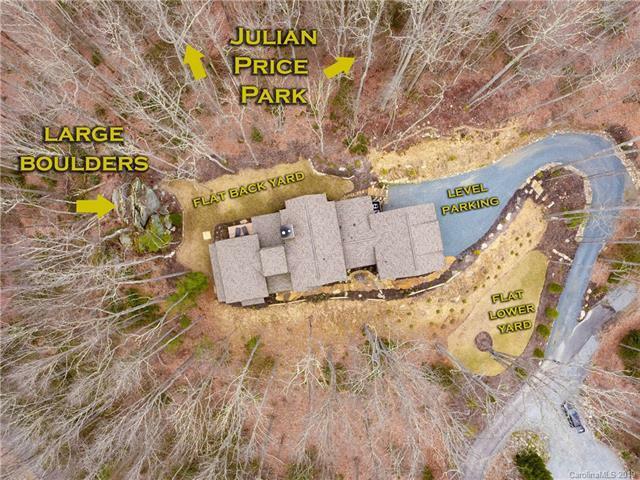 Located in the gated community of Twin Rivers, this private setting features level yards, massive boulder & community access to great trout fishing waters! Living spaces inside & out w/ focus on surrounding mountain & National Park views! Open concept w/ living, dining, & kitchen in center of home w/ stone fireplace, bar, granite, & st. steel appliances. Private master suite w/ large BA & HUGE walk-in closet sits on main level while 2 BR/BA suites are on 2nd floor, connected by a cupola & lofted hall overlooking the great room. Over garage is BR Suite #4- use as a Rec Room, great for kids w/ bunk-room & playroom or turn into a mother-in-law suite! Amenities: Attached 2 car garage, hot tub/grilling deck, outdoor fireplace & sun deck, covered front porch/entry, mudroom, 1/2BA on main, investment/rental potential, hiking trails! Perfect for vacation or year-round! Offered by Vincent Properties, Inc.. Copyright 2019 Carolina Multiple Listing Services. All rights reserved. The data relating to real estate on this Web site derive in part from the Carolina Multiple Listing Services, Inc. IDX program. Brokers make an effort to deliver accurate information, but buyers should independently verify any information on which they will rely in a transaction. All properties are subject to prior sale, change or withdrawal. Neither Homes Charlotte nor any listing broker shall be responsible for any typographical errors, misinformation, or misprints, and they shall be held totally harmless from any damages arising from reliance upon this data. This data is provided exclusively for consumers' personal, non-commercial use and may not be used for any purpose other than to identify prospective properties they may be interested in purchasing. © 2019 Carolina Multiple Listing Services, Inc. Data last updated 2019-04-21T14:58:32.163.